Today the documentary "Bully" opens around the country and I&apos;m asking all parents and educators to go see it. Yes, it&apos;s painful to watch and you&apos;ll probably get angry. You may cry. There’s been a lot of coverage on bullying recently, but this is the first film that truly shows what children—and their families—endure when they&apos;re targeted. I admit that when the creator, Lee Hirsch, first told me about his plans for the project, I wished him luck but thought there was no way he&apos;d be successful. Lee said he was going to ask school districts to let him ride buses and hang out in school hallways recording how kids treated each other. I immediately envisioned him being laughed out of the meetings with school administrators—if he got those meetings in the first place. He did get permission from one district, but for the wrong reason: Administrators there believed they had a model anti-bullying policy and wanted to show off how effective it was. Talk about pride before the fall. It’s a mistake to think that a zero-tolerance policy or prevention program is all it takes to put an end to bullying. School, for better and worse, has always been about learning the power of group dynamics and whether adults can be depended on to uphold every person's dignity. Conflict is inevitable, because at some point one person will use the power they have over another person to get their way. School is the battleground where children learn if it’s better to say nothing and hope for best, or if they should speak out—and if they do, whether there’s a price to be paid. What “Bully” shows better than anything I’ve seen is the sad, inescapable truth: That the adults responsible for school safety and educational policy, due to both ignorance and lack of training, have failed to create a culture of respect. And our kids are suffering terribly as a result. So go see it. Get angry. Weep for those families and then ask yourself how you can make a difference in your community. Watch it with your kids and ask what the movie means to them. Talk about the connection between racism and bullying, between homophobia and bullying. Have an honest conversation about all the wrong ways that clueless adults often respond, making the problem even worse. 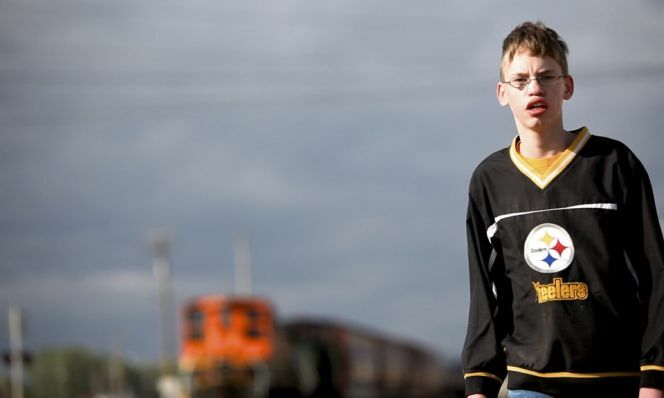 “Bully” shows the pain that many kids are experiencing in communities across the country. Imagine the courage it takes for them to get through each and every day. Out of respect for them, we, at least, should have the courage to watch it. Note: Many people have asked me about what age is appropriate to see “Bully.” I think 6th grade and above is fine. The film initially got an "R" rating because you hear kids say the F-bomb six times, but now it’s unrated, making it easier for schools to show it. And the AMC chain, in an unprecedented move, is allowing kids to see the movie with a note from a guardian. Read our other posts about Bully. Rosalind Wiseman helps families and schools with bullying prevention and media literacy. Her book "Queen Bees and Wannabes" inspired the hit movie "Mean Girls." She writes the Ask Rosalind column for Family Circle.